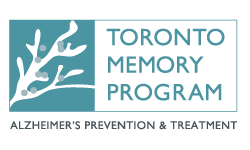 Alzheimer Society of Toronto took on a new initiative in 2018: Kids for a Cause. Teaching youth about charity and showing what the power of giving can do, is rewarding for both parents and children. It is especially important to teach youth that they are part of a larger community and to show kindness to others. Parents can encourage their child to become a Jr. Fundraiser and grow up with a healthy sense of compassion and a strong charitable spirit. NEW: The Carswell Family Foundation will match each individual Jr. Fundraiser's (ages 3-17) total amount of donations, up to $50,000, by January 31st, 2019.